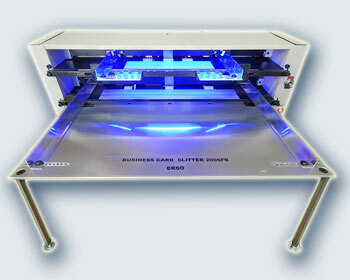 The ERSO 2006 FB Automatic Electric Full Bleed (Gutter-Cut) Business Card Slitter is designed to cut down business cards with full bleeds from a 20-up format with gutters between the cards. 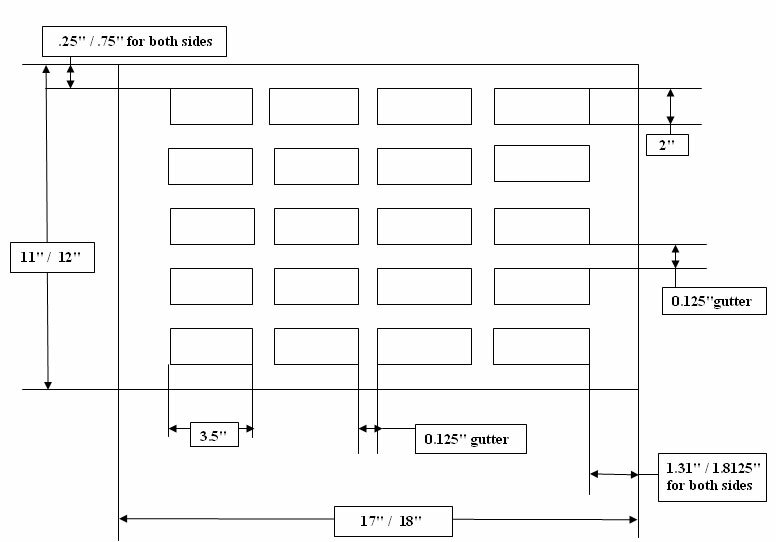 This model can handle both 11" x 17" and 12" x 18" card stock. It allows you to produce 20 full color 2" x 3.5" business cards per sheet with a simple two-pass operation. First pass cuts an 11" x 17" /12" x 18"/ sheet into four 11" x 3.5" /12" x 3.5"/ strips with a 0.125" (1/8") gutter between the strips and then second pass cross cuts these 4 strips down to finished 2" x 3.5" cards with a 0.125" (1/8") gutter between the cards. OK- I am so happy, good slitter. Yes, we have item in stock and can be shipped in 1-2 business days after payment. Do you have 2006FB in stock? 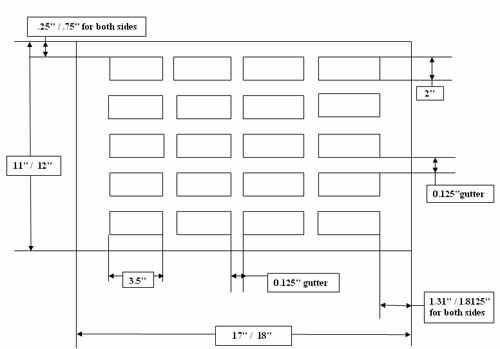 When slitter can be shipped? I need price and do you accept credit cards? I bought second slitter. It realy helps me. Thanks. We've got the cutter and already tested it. Thank you very much for the quality of the machine. We are happy with our purchase. Thank you for your wonderful help. The machine is set up and working very well. We love our new piece of equipment from you guys. Can't copy the captcha image file.